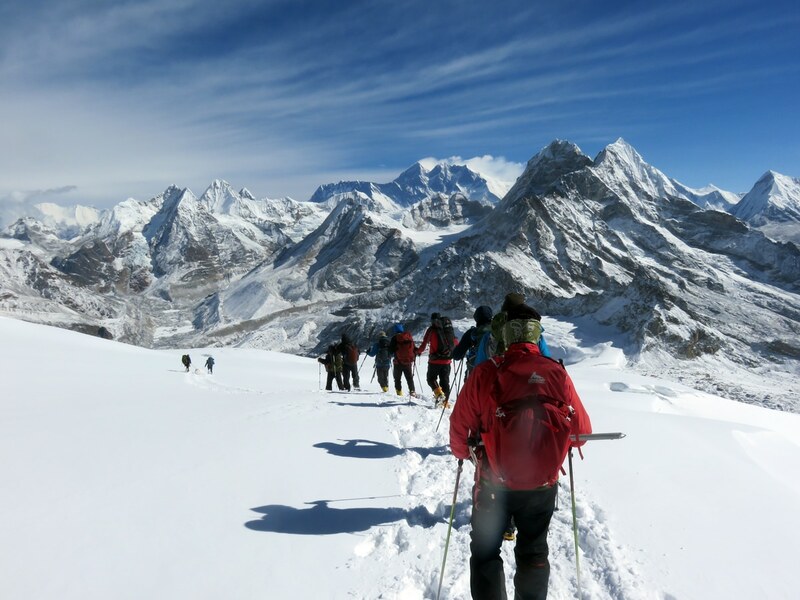 The jewel of the Himalayas, Ama Dablam is the most beautiful alpine rock climb of its kind and is considered one of the range’s most spectacular ascents. 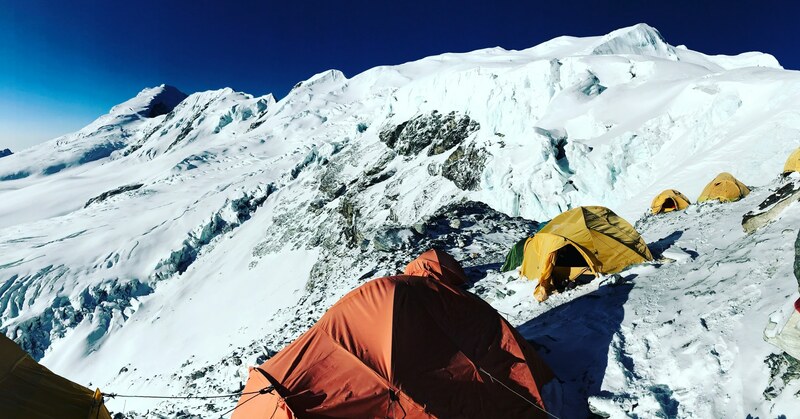 The aesthetic quality of the climbing in combination with the exposed, picturesque camps and the grandeur of the summit views render a nearly incomparable high-altitude rock experience. 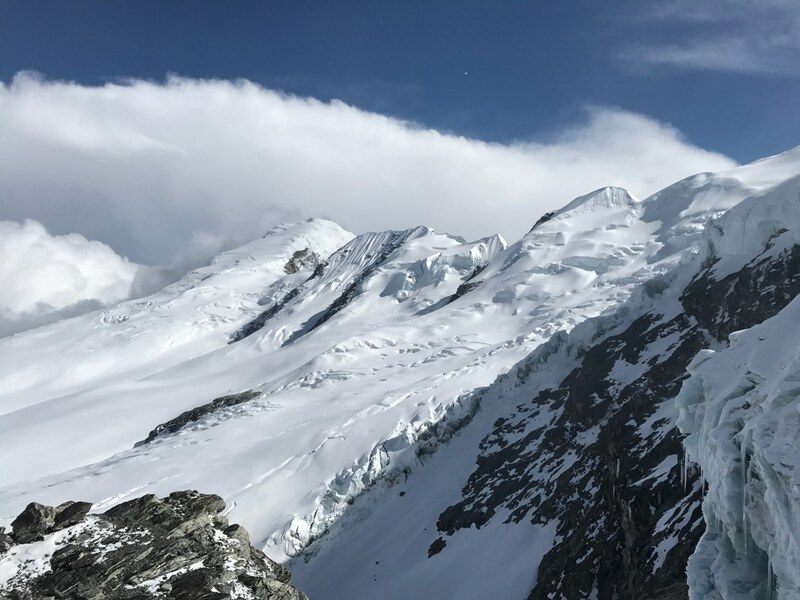 Our climb is the classic southwest ridge, an alpine climber’s dream route with its ice faces and steep, clean rock in a spectacular Himalayan setting. 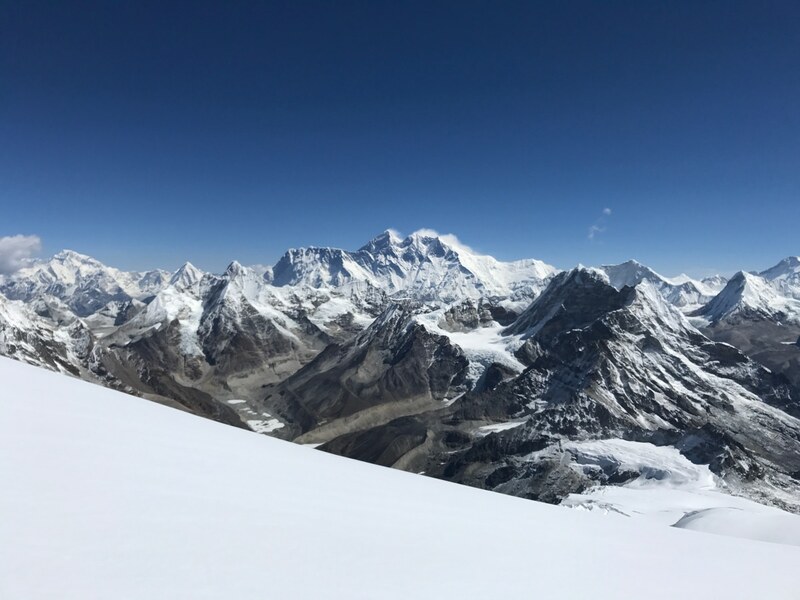 From Ama Dablam’s summit, four of the world’s highest peaks are visible in a spectacular panorama: Cho Oyu, Lhotse, Everest and Makalu. 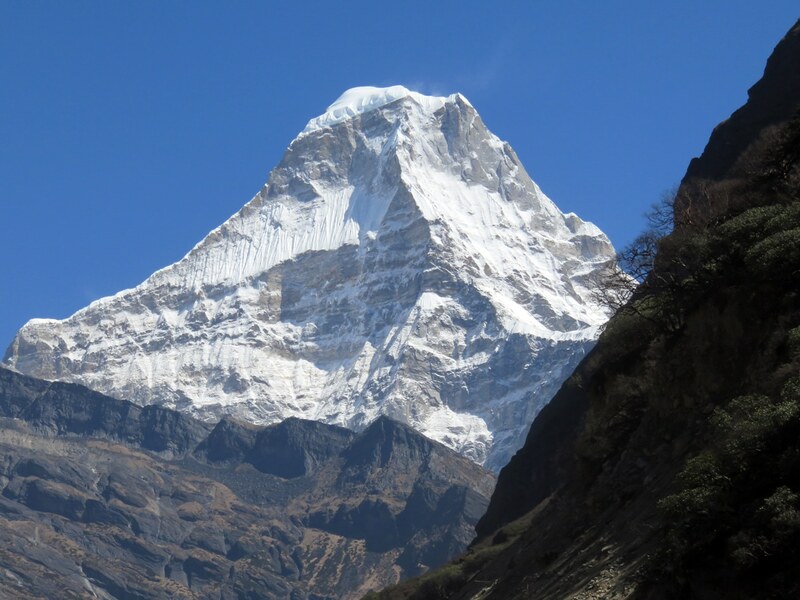 The striking Ama Dablam is the most recognized mountain in the region and is certainly one of the most coveted summits for Himalayan climbers. 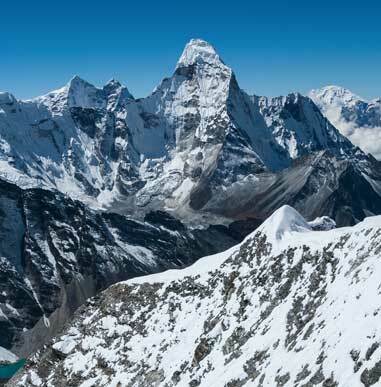 The ascent up Ama Dablam epitomizes climbing artistry at its highest level. 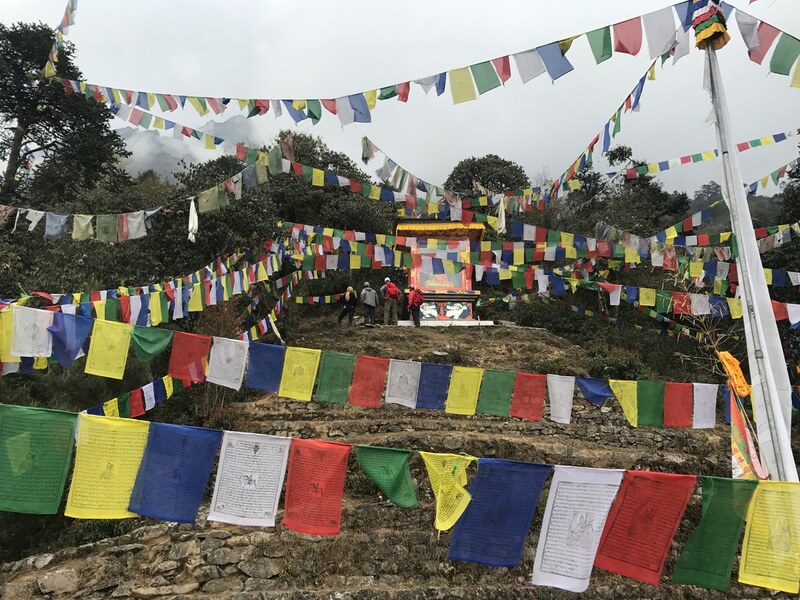 Our team assembles in Kathmandu and flies to the village of Lukla. 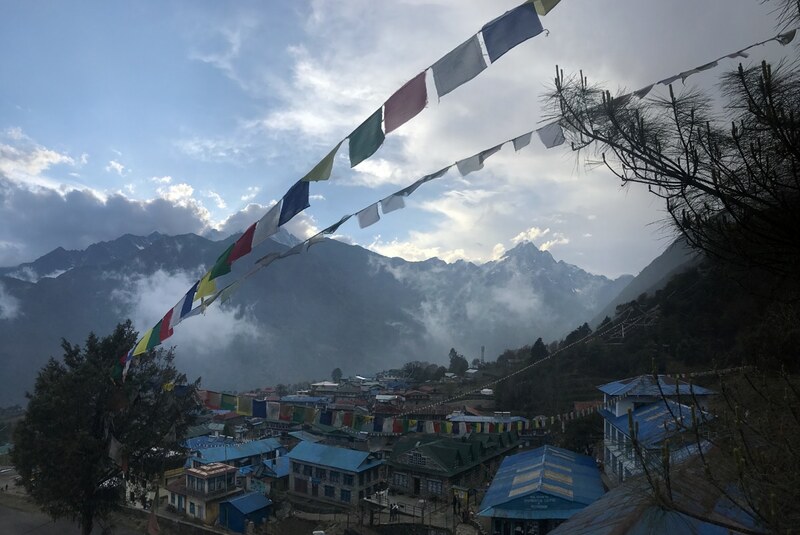 From Lukla, we trek the famed Everest Route through historic Namche, Tengboche and on to our Base Camp beneath the sublime west face of Ama Dablam. 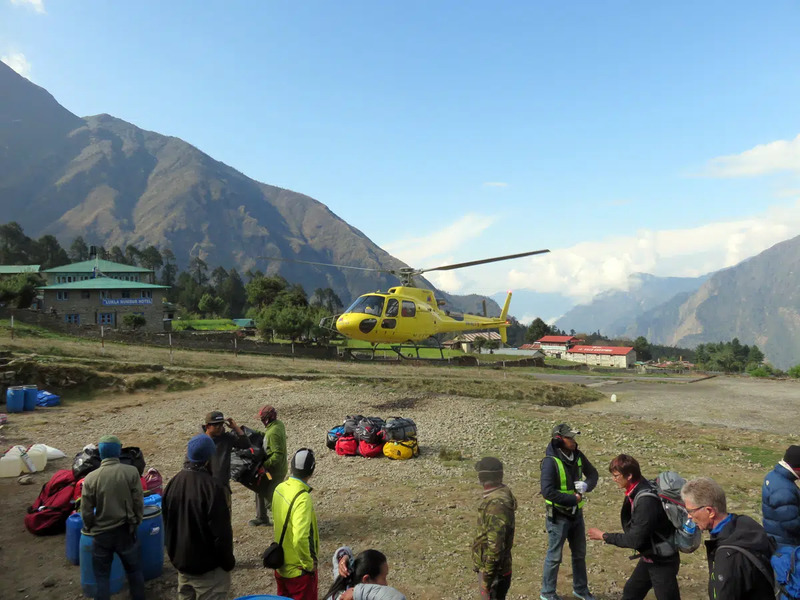 After arrival at our 15,000 ft. Base Camp, Sherpa and guide staff will head on to establish Camp I. 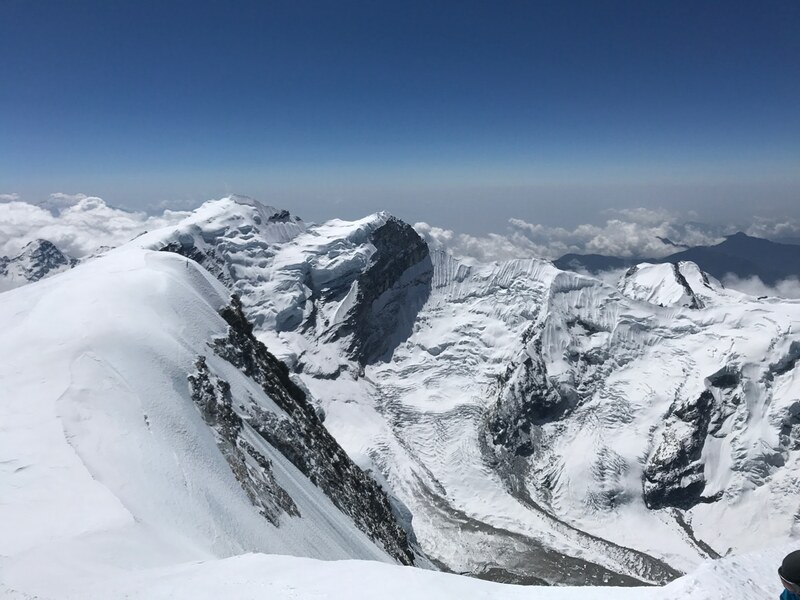 While the team acclimatizes and moves up the pleasant moraines and ridges to Camp I (19,070 ft.), Alpine Ascents staff fix ropes along the gendarmed rock ridge and we cross an area known as the Yellow Tower, leading to Camp II at 19,600 feet. 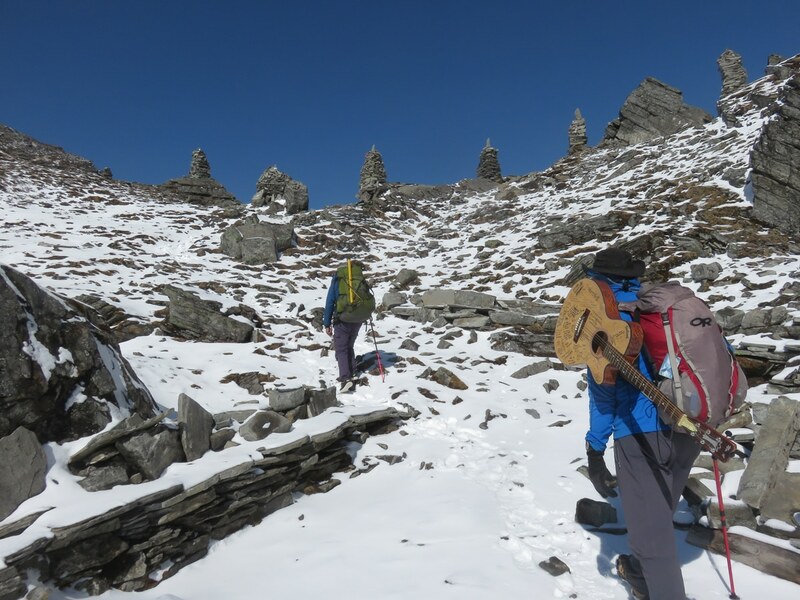 On the way to Camp III at 20,750 feet, superb alpine rock climbing is found on the First Step leading to III. Just before Camp III, ice gullies, a heavily corniced ridge and an ice wall finish off this excellent section of the climb. 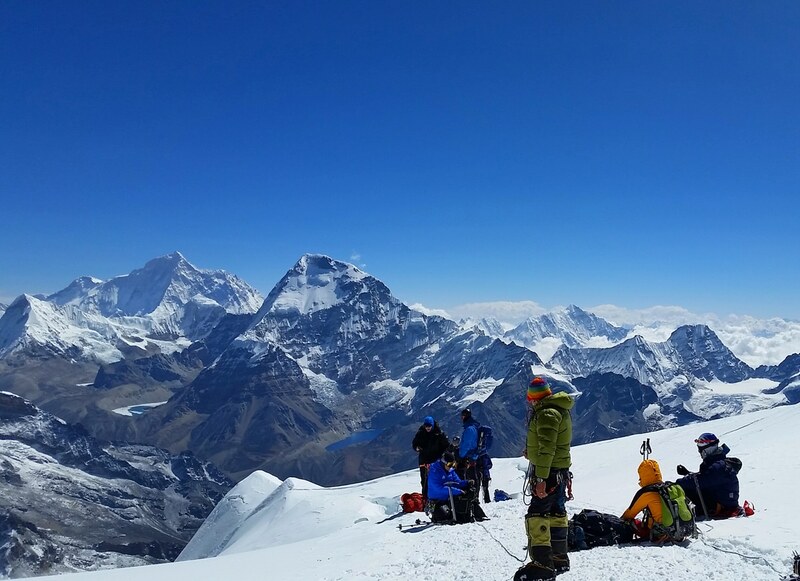 Once our ropes have been fixed to 21,500 ft., and team members are acclimatized, we will organize summit teams. 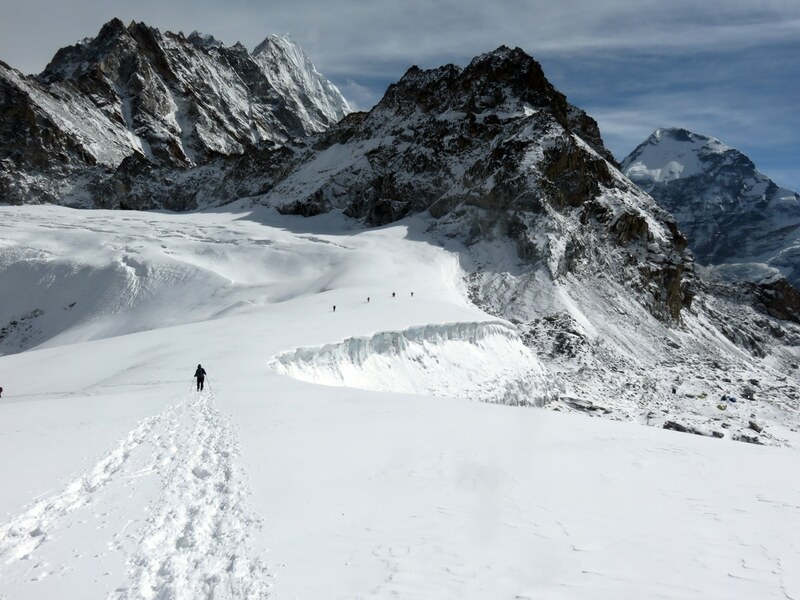 The final pitches of the route are on the perfect 50-degree snow-and-ice face above Camp III. This face tops out right at the summit. 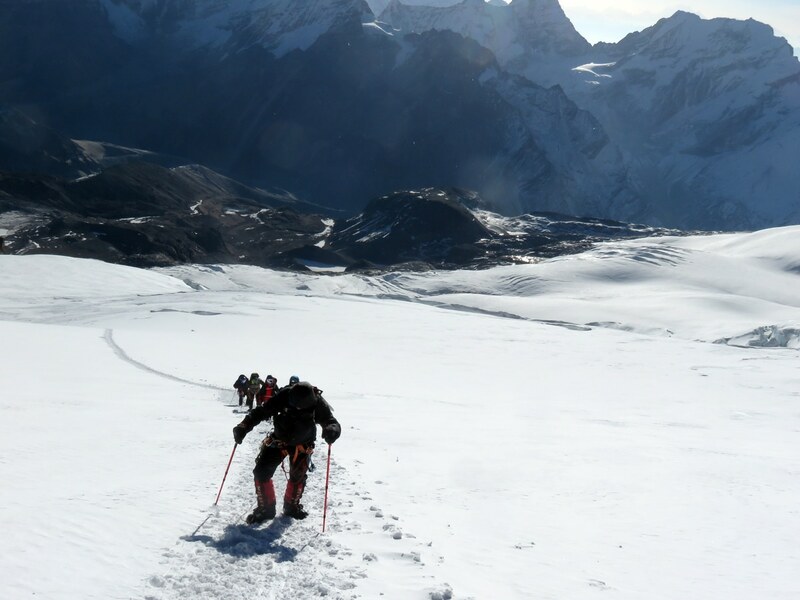 On this fully guided expedition, we will use a fixed rope to enhance safety. 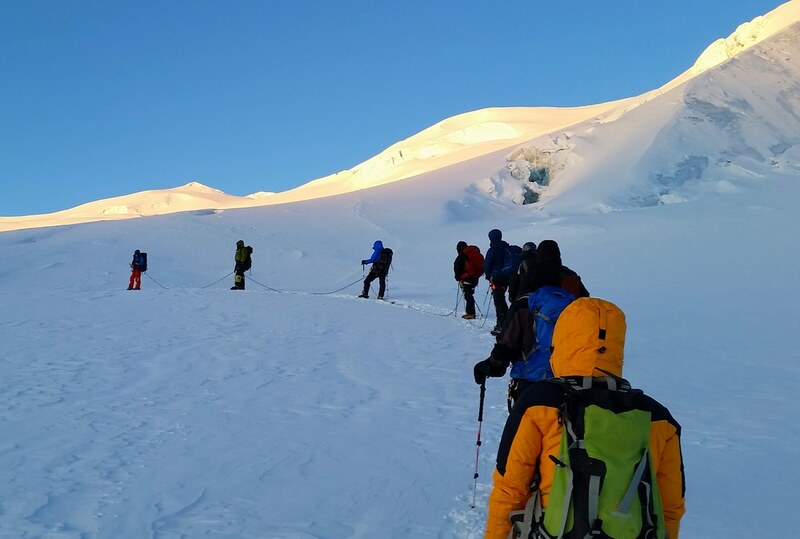 All members help ferry their own equipment up and down the mountain, and otherwise assist with the route and camp preparation. Interested climbers should contact our office for consultation and requirements. The Southwest Ridge requires technical climbing at altitude, and is thus offered only to qualified climbers. Climbers should have successfully completed our 6-Day Training course or have equivalent skills and experience. 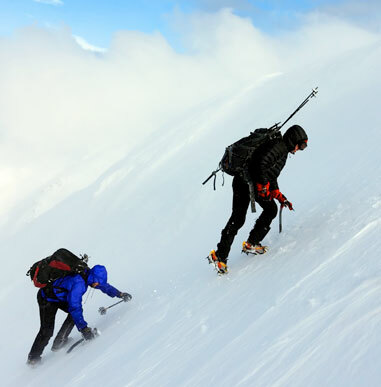 Technical rock climbing, ice climbing and high altitude and climbing experience are required. Previous recommended climbs are Denali and the Matterhorn. 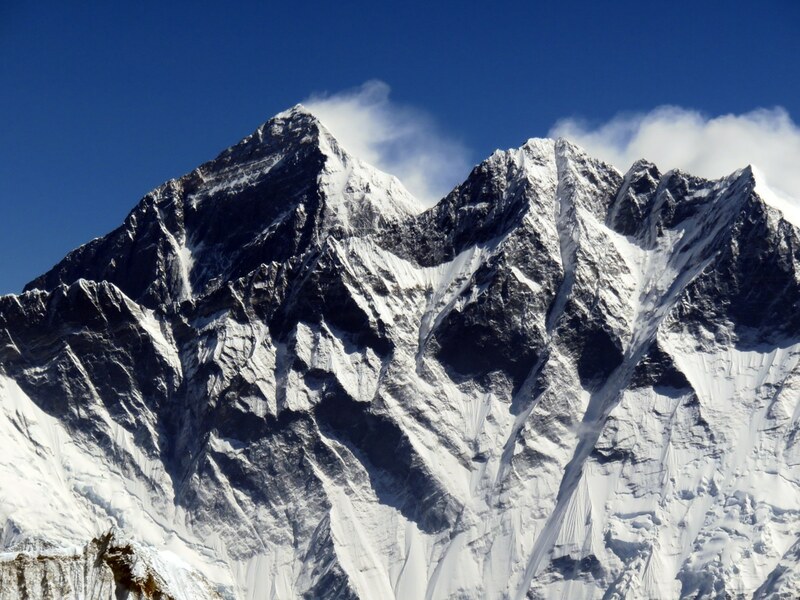 Climbers must be mentally prepared to deal with strenuous situations at high altitudes. The requirements are also based on our desire to have similarly skilled team members. Upon sign-up, we will forward our famed, comprehensive confirmation package. This package will include all of the details for your trip. 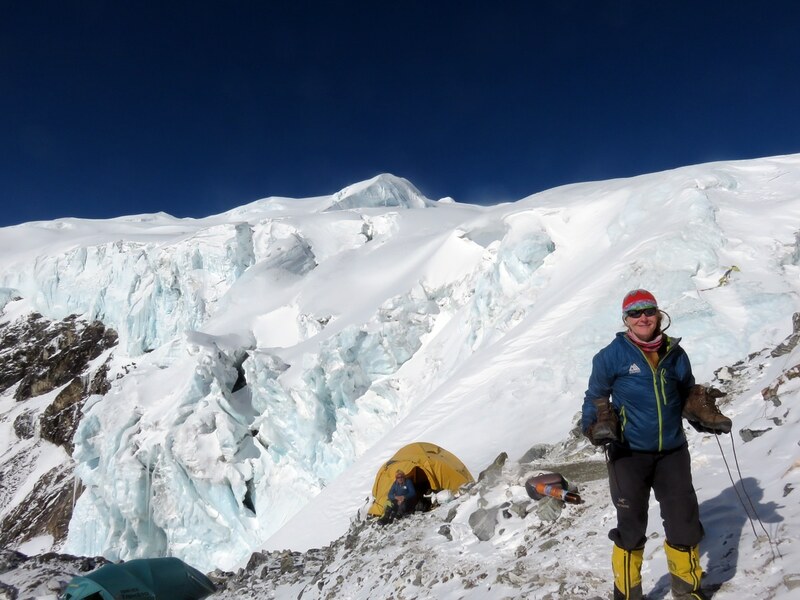 Your expedition leader will be one of our international mountain guides. They will have along as many assistant guides as necessary to ensure a low climber-to-guide ratio. 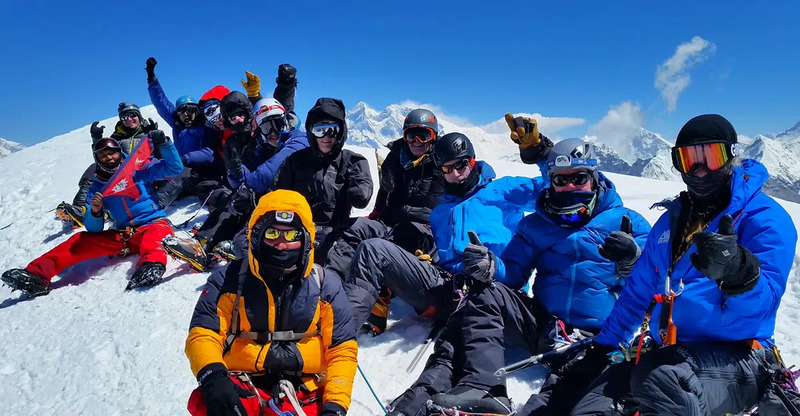 Generally, our maximum for this climb is 8 climbers plus guides and Sherpa. 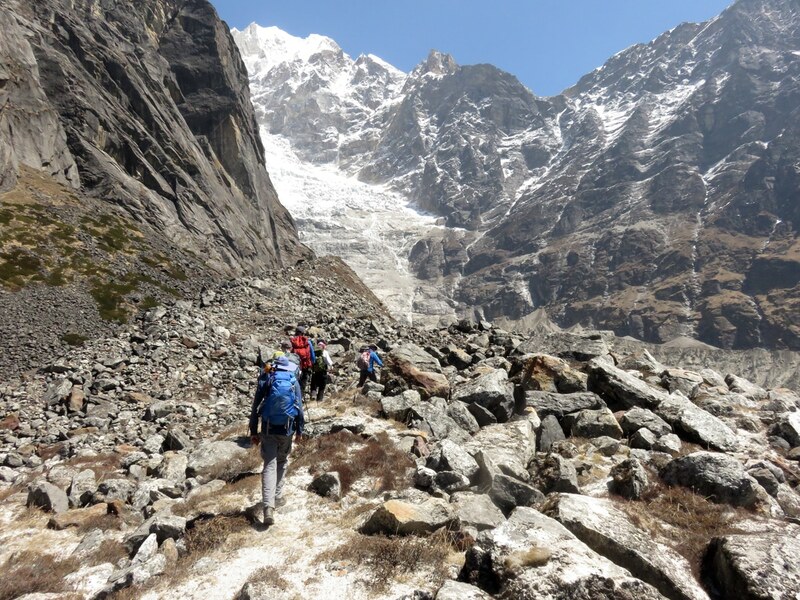 During the trek and climb, team members will only carry gear and supplies for the day. At no point do we carry camping gear or equipment for overnight. 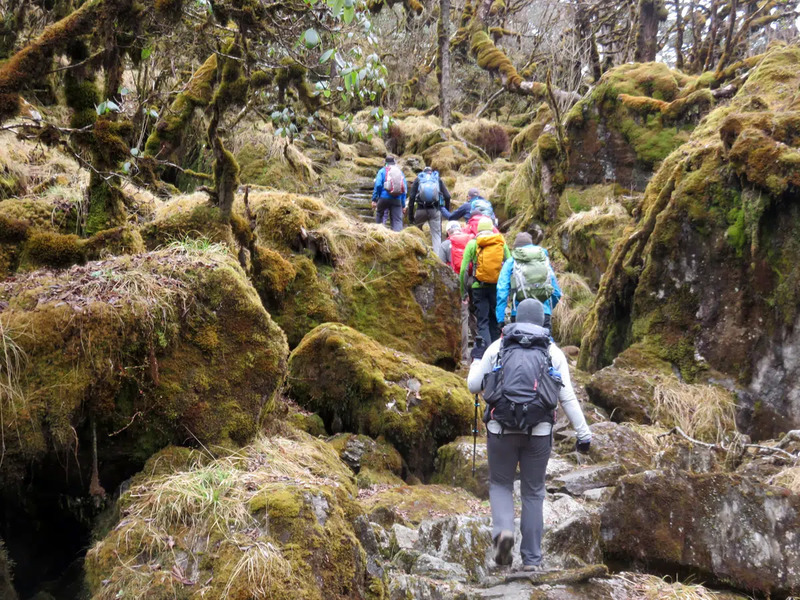 During the trek, daypacks will weigh no more than 20 lbs., and during the climb, the packs will weigh no more than 30 lbs. 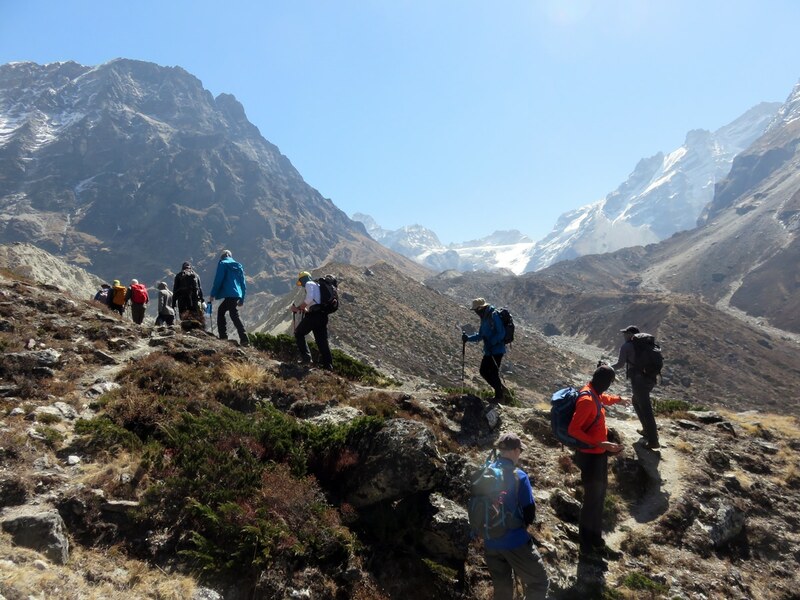 During the trek, we will provide unlimited amounts of water at mealtimes. Team members can fill up water bottles at meals and use their SteriPen to sterilize. Bottled water can also be purchased in teahouses at additional cost, but this can be expensive and creates waste. Once in Base Camp, we will boil water. 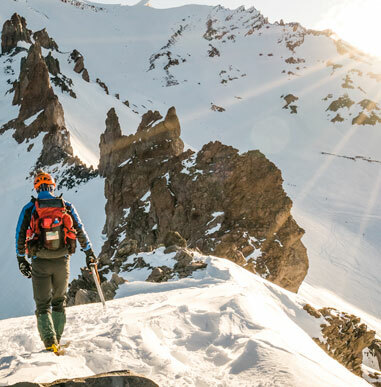 Meals in the mountains consist of a diet rich in carbohydrates because our bodies do not process fat and protein efficiently at higher elevations and to compensate the increase in caloric need that high-altitude climbing involves. We try to make meals and breakfast varied and as normal as possible. 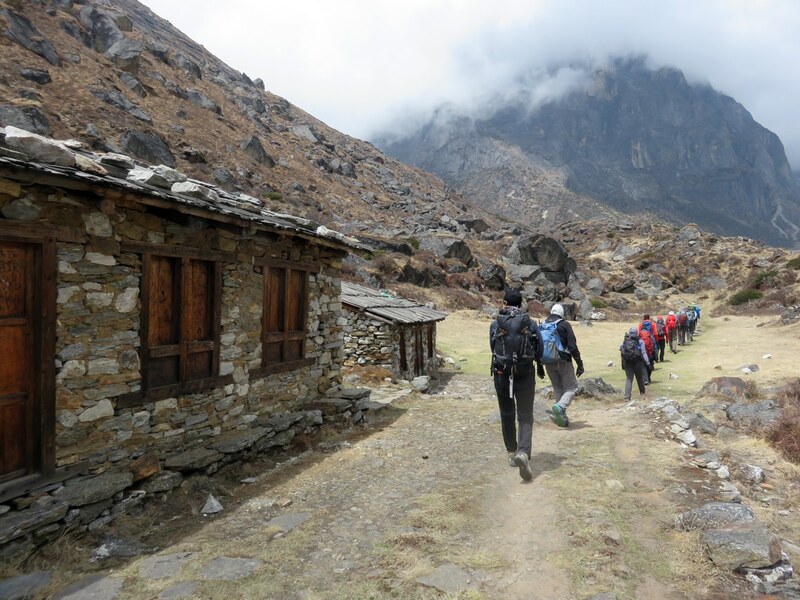 During the trek, Alpine Ascents staff will prepare meals in the teahouses. 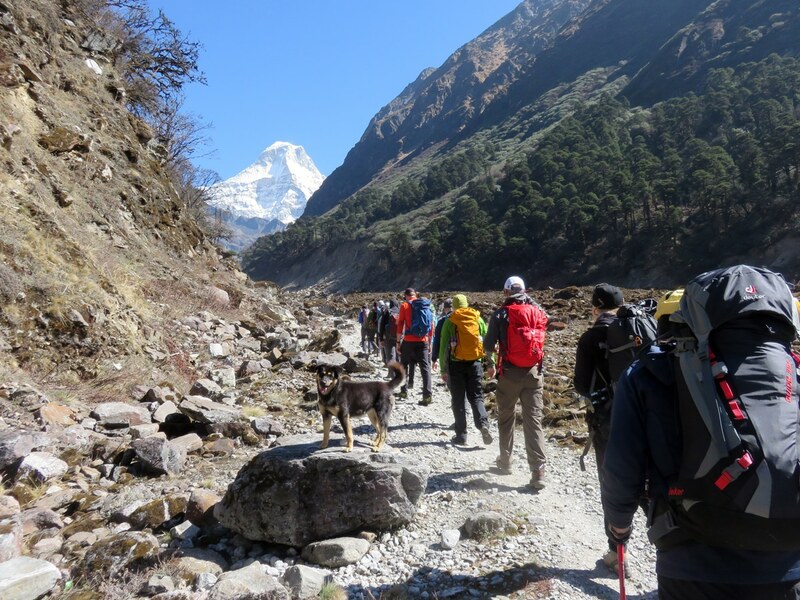 Meals during the trek and climb are made from food purchased both in Nepal and the US. Typical meals are rice, pasta, or potato dishes along with vegetable and egg dishes. Lunches will also consist of cooked meals. 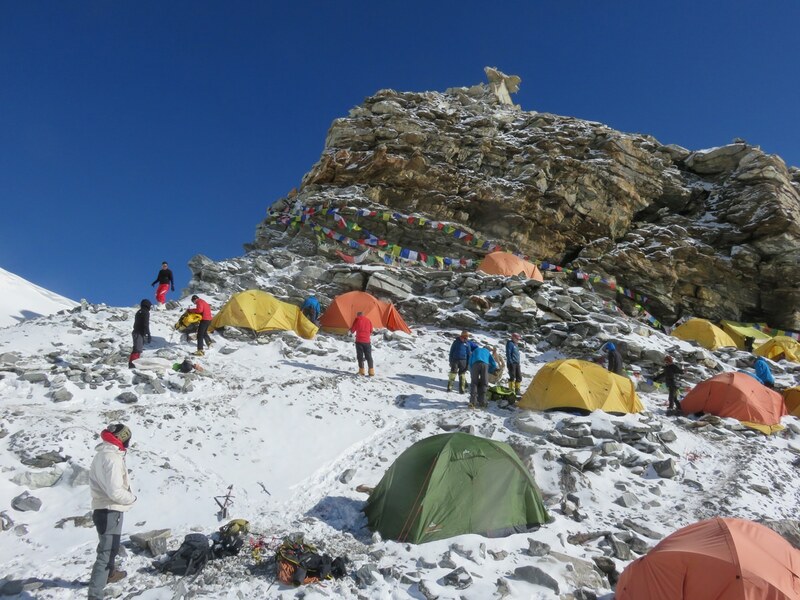 Above Base Camp, climbing food mainly consists of dried meals such as pastas or rice. Lunches while climbing will mainly be made up of bars and snacks brought from the US. You may bring power bars, Gu, Power Gel, cereal bars, or similar high-energy foods; we also recommend powder Gatorade to fight dehydration. All meals are provided on this expedition. 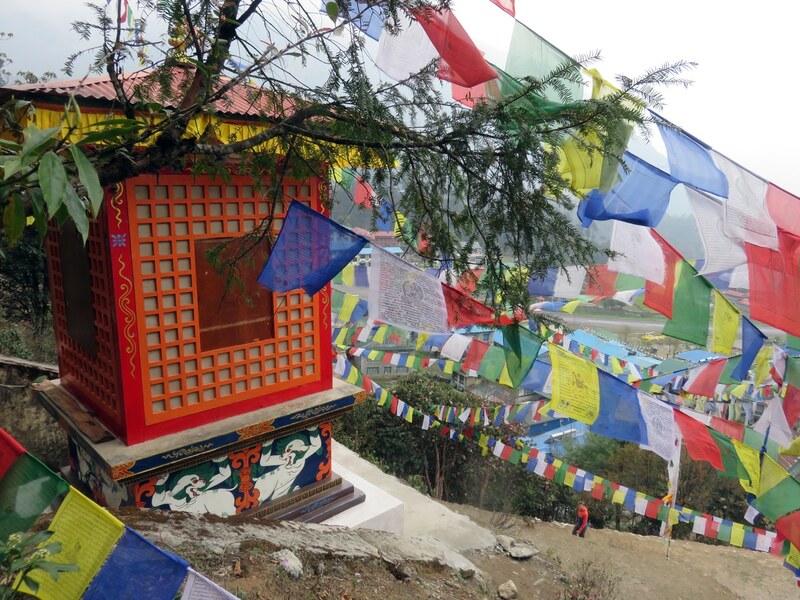 Most routes from the US to Kathmandu are via Asia, but there are many options via Europe as well. 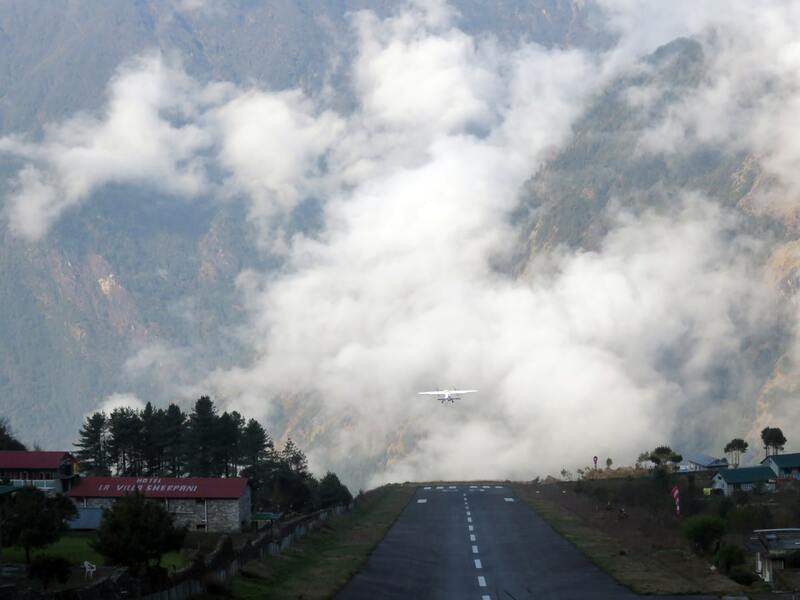 The easiest way to obtain a visa is in the Kathmandu airport. 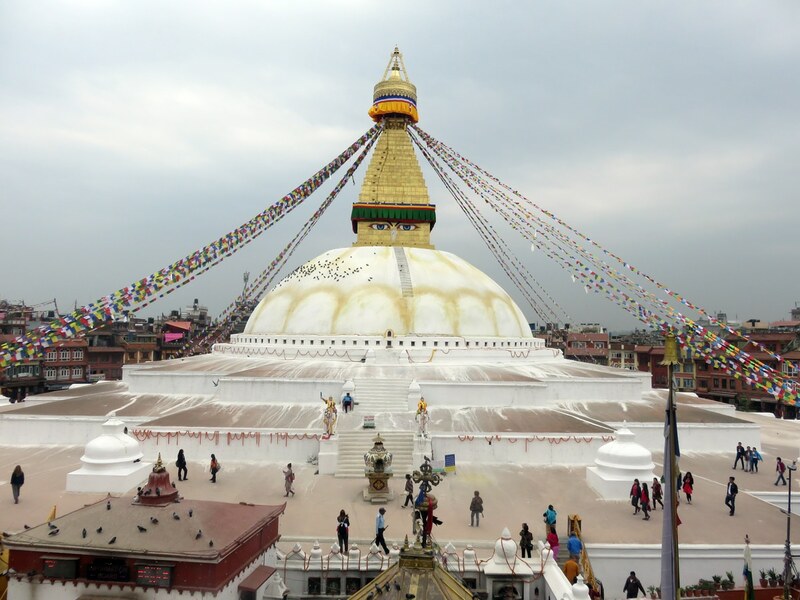 Upon arrival in the KTM airport, fill out the necessary forms and proceed to the visa line. As visa prices change often, we suggest taking a variety of cash denominations, such as (2) $20.00 bills (1) $10.00 bill (1) $5.00 bill. 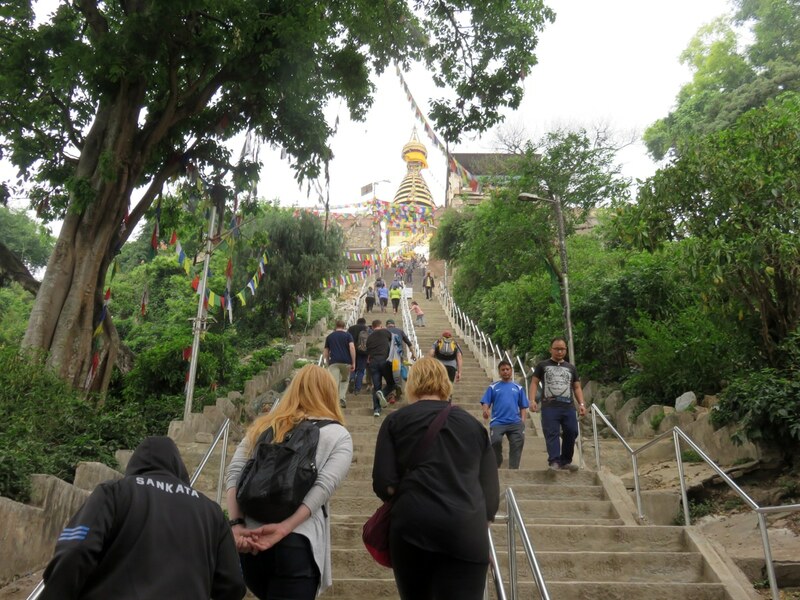 We will obtain a trekking permit for you in KTM. Current visa cost is $30.00 and is subject to change. Please obtain a one-month visa. 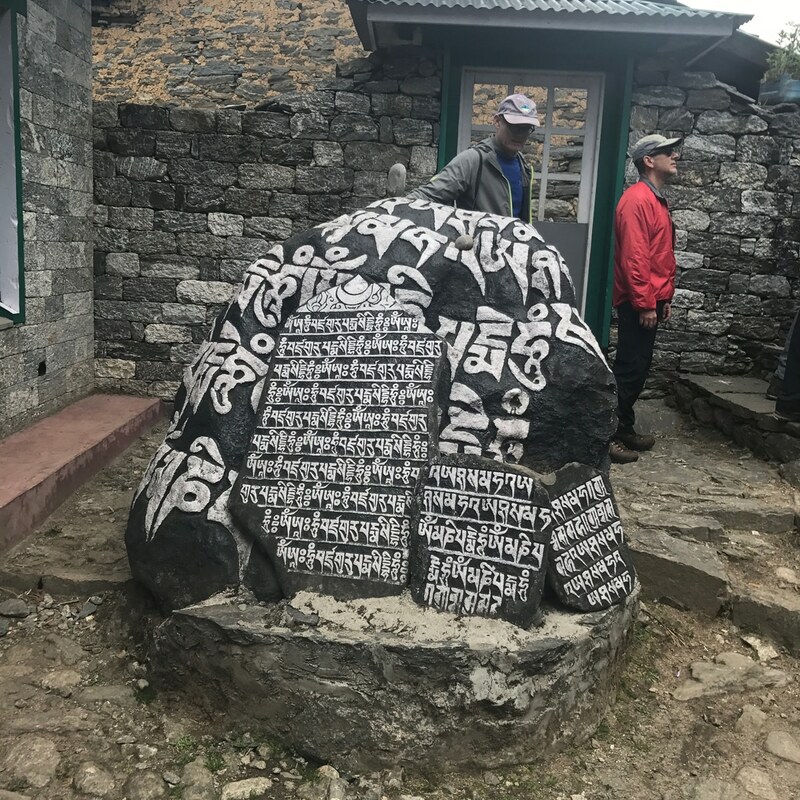 Cell phones work in many parts of the Khumbu as well as in Kathmandu. We can assist you in getting a local sim card but you must “unlock” your phone beforehand. We can assist in getting a phone unlocked in KTM, but it can cost up to $50 and take 48 hours (usually less). You can always call our offices and we will have your lead guide contact you. Within 30 days prior to departure, we will mail a list of the other team members to you. 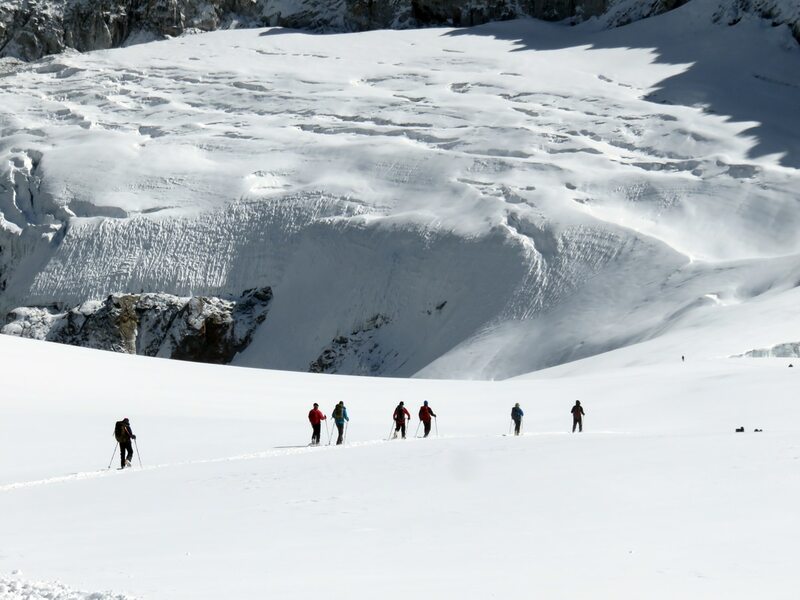 Book a Trip at: www.alpineascents.com/registration or call our office with a credit card handy. We accept MasterCard, Visa, American Express, personal checks, and Alpine Ascents gift certificates. To reserve a space, the deposit is $700 and balances are due 120 days prior to departure. Unpaid balances can result in forfeiture of trip. See our Price & Schedules page. Communication is sometimes difficult in the mountains. However, our guides and local staff will make every efforts to obtain the necessary transportation and reservations to get you home as quickly as possible if for any reason you need to depart early.